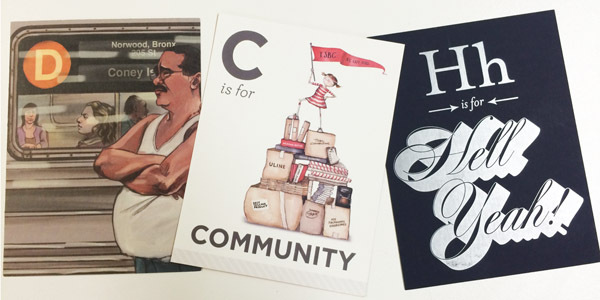 Get Your Alphabet Cards While they last! 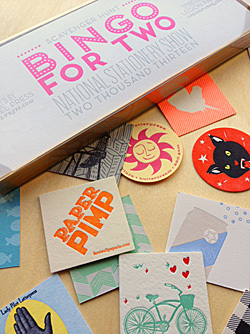 2 days left to participate in the Alphabet Cards Scavenger Hunt at the National Stationery Show. 6 Days until the National Stationery Show! 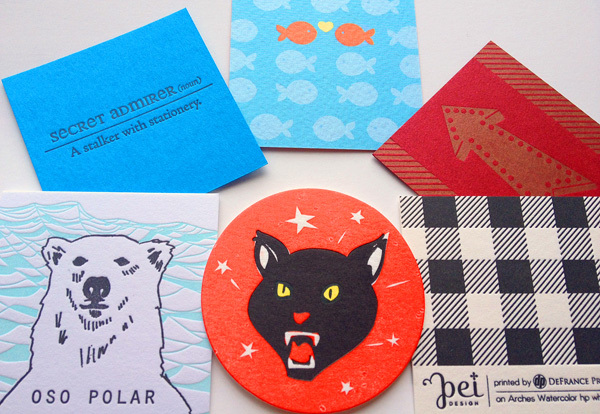 Get ready to start collecting from Apple to Zap to fill your alphabet book made by Lady Pilot Letterpress on Colorplan. Pick up your checklist at any participating booth! We're a couple days away to the opening day of the Stationery Show and we wanted to give a shout-out to the great people @Clearbags (booth #3174) who supplied us with these awesome gold boxes that contain the entire BINGO FOR TWO kits. For those who don't know about Clearbags, they're the ones who create all those crystal clear...well, bags! As you can see they also make a bunch of things beyond bags, including the glassine envelopes shown here and printed by Amber over @FlywheelPress. Thanks Clearbags (Katie and Danny) for all your support! The (third!) annual Stationery Show promotional project is going to be bigger, better and flashier than anything we've done in the past. We proudly present BINGO FOR TWO! Organized by Flywheel Press and sponsored by Legion, the BINGO FOR TWO project features 22 designers (who are all NSS Exhibitors), printing on 28 different fine art papers using a variety of printing techniques (Letterpress, Digital, Foil, Offset). As in year's past, attendees at the NSS will participate in a Scavenger Hunt to collect all 32 Bingo Tokens from each designer's booth (see list of participants below). Once all the tokens have been collected, swing by the Legion Paper booth #3074 to collect the Bingo Boards and box. As we count down to the Stationery Show (May 19th, baby!) we'll post more pics and videos of this project. We're super excited to be working with these exceptional designers and printers and know you'll be impressed with this year's project.